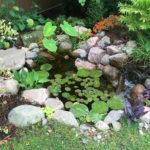 Our professionals will help you identify and remedy any problems that may arise with your pond, stream, or water feature. 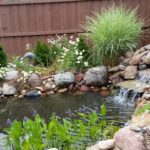 We build and service beautiful ponds and waterfalls. If you are having a pump problem, let us know! We carry high quality Aquascape pumps. Do you have a leak? Let us know and we will follow our proven 20 step process to diagnose and treat the problem. WE can check your water quality or add new lights to make your feature shine at night! 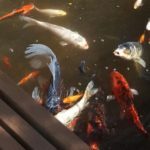 Ponds get the family oursite and help relieve stress from busy life!